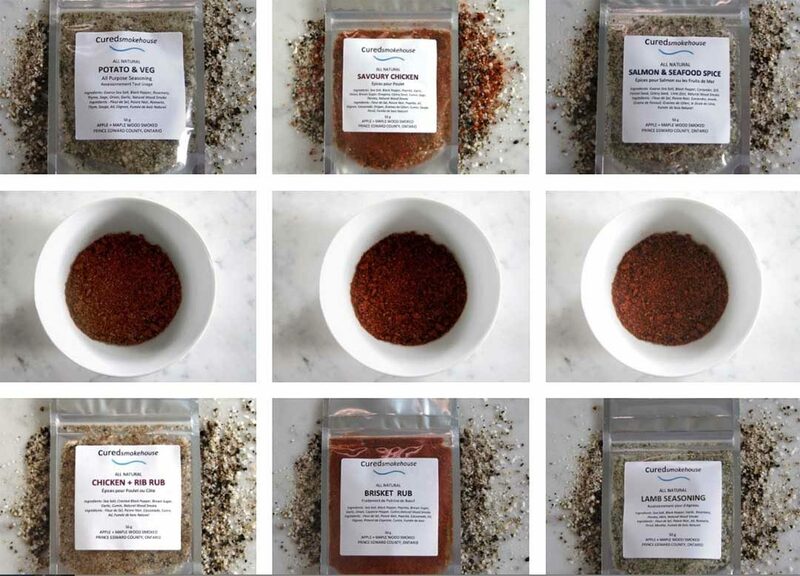 Established by Amy Mumby & Adam Delorme in 2015, Cured Smokehouse is a wholesale spice & seasoning company located in Prince Edward County, Ontario supplying butcher shops & specialty food shops throughout Ontario. Our focus is spices, seasonings & dry rubs smoked using apple & maple wood. We source only the freshest all natural ingredients, blended & milled by hand to ensure quality, consistency & freshness. With no hidden ingredients, our products are perfect for those with allergies or dietary restrictions. Sample and purchase Cured Smokehouse’s products at The Great Canadian Cheese Festival, featuring 150 Canadian artisan and farmstead cheeses on offer, plus 200 specialty foods, not-to-mention small-batch wine, craft beer and cider, spirits and food-related artisan products.